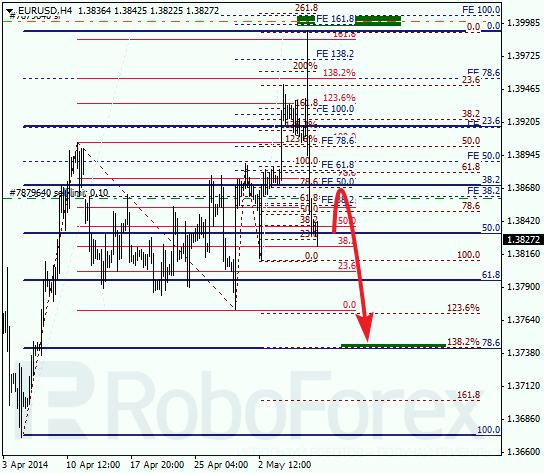 Euro was just several pips shy from the group of upper fibo levels. 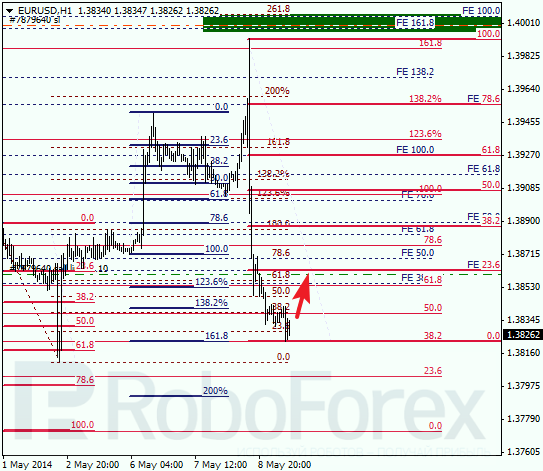 Price rebounded downwards and broke several levels at a time. Target is in the area of 78.6% 138.2%. 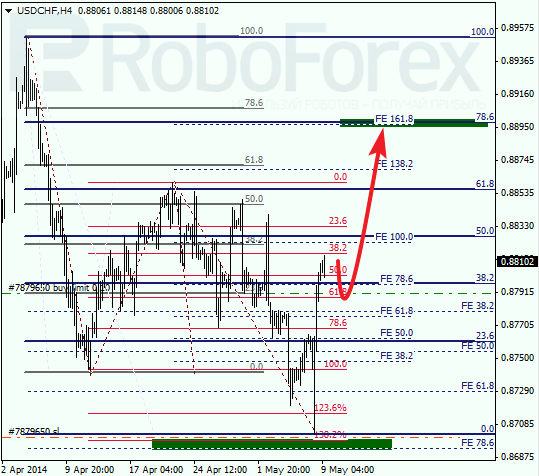 As we can see at H1 chart, pair is going to start new correction with target at level of 23.6%. Most likely, after reaching it, price will rebound. Expecting this to happen, I’ve placed pending sell order. Franc also was just several pips shy from the group of lower fibo levels. In the near term, pair may start new correction. After this correction, price is expected to start new ascending movement towards the group of upper fibo levels. As we can see at H1 chart, Franc is about to start new correction. It looks like in the future price is going to test local level of 23.6%. If market rebounds from it, pair will start new ascending movement.